From Corsicana, TX, Bell began his college career at Navarro Junior College before transferring to Lousiana Tech after his sophomore season. Bell came into his own at LA Tech, and was named an Honorable Mention All-Conference USA. At 6’4″, 330 lbs, Bell attracted a lot of NFL interest despite going undrafted out of college. 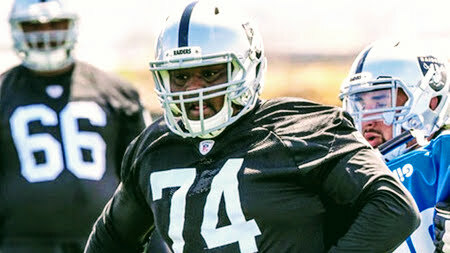 In 2015, Bell signed with the Oakland Raiders, earning a spot on their practice squad. After his contract expired, he went on to dominate in the Indoor Football League for the Iowa Barnstormers. Realizing his talent belonged back in the NFL, Bell decided to participate in the inaugural The Spring League season.The Spring League provided another opportunity for Bell, 25, to showcase his talents. After the camp, Bell was invited to participate in the Carolina Panthers’ mini-camp. In 2018, Bell will re-join The Spring League in Austin, Texas.